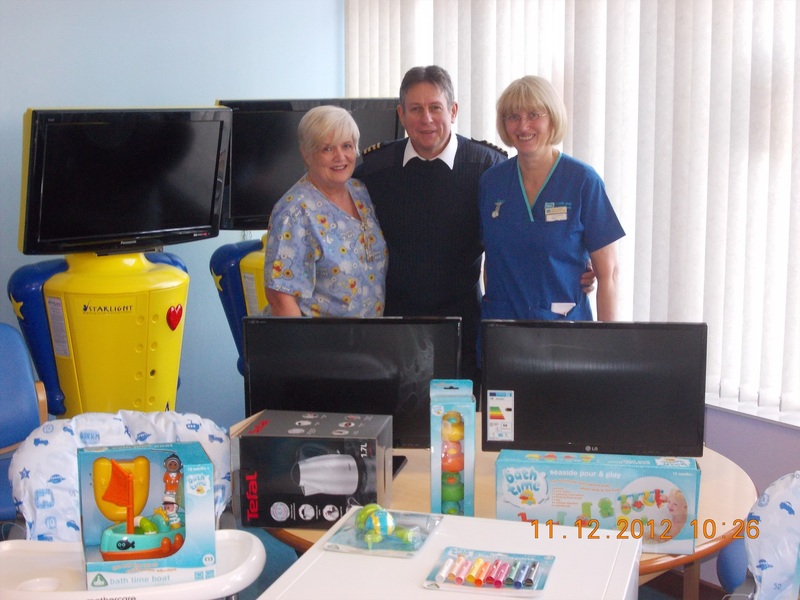 Seatruck staff Captain Jim Smith, Damian McGrath and Tara McShane made the annual journey to Daisy Hill Hospital to present the Children’s Ward with Christmas gifts. These gifts are the result of collecting Aluminum cans from the Seatruck vessels and offices throughout the year. There is also a “spare change” collection in the Warrenpoint Office which also goes towards the Jim’s Collection. One gift which we also hope to present them with is a Baby carry seat which fits into the ambulances for baby transfers. Sister Anne Stanfield and Play Therapist Bernadette Ryan, would like to thank everyone for their support which is great appreciated.